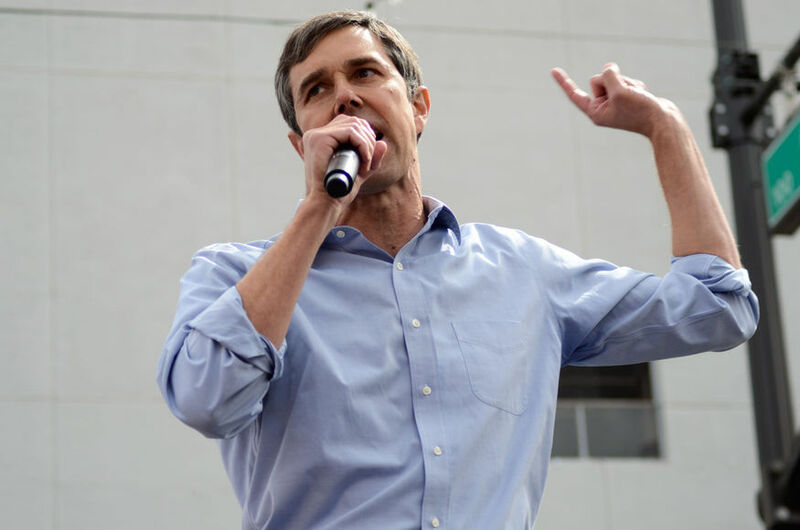 Democratic presidential candidate Beto O'Rourke called Israeli Prime Minister Benjamin Netanyahu a "racist." "The US-Israel relationship is one of the most important relationships that we have on the planet, and that relationship, if it is successful, must transcend partisanship in the United States," he said, the Times of Israel reported. He then added, "And it must be able to transcend a prime minister who is racist, as he warns against Arabs coming to the polls, who wants to defy any prospect for peace as he threatens to annex the West Bank, and who has sided with a far-right racist party in order to maintain his hold on power." Saying that he doesn't believe Netanyahu "represents the true will of the Israeli people," O'Rourke added, "We must be able to transcend his current leadership to make sure that that alliance is strong, that we continue to push for and settle for nothing less than a two-state solution, because that is the best opportunity for peace for the people of Israel and the people of Palestine."